This is one topic that really intrigues me. Shimpaku has become a favorite bonsai subject, and as I work more with the different varieties, I’ll continue to share the subtle differences. From macro to micro, here is a little more about each of these three varieties. 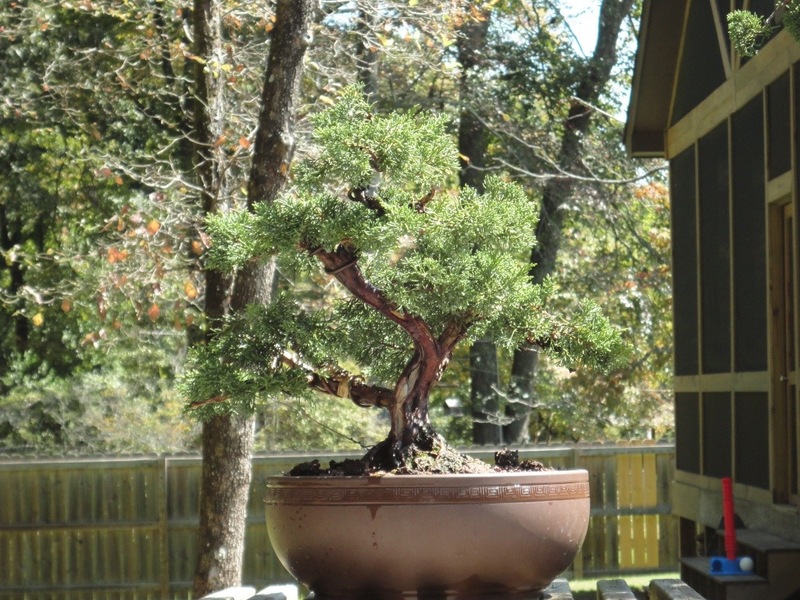 My Itoigawa, from Evergreen Gardenworks, and the source of all the Itoigawa material shown. 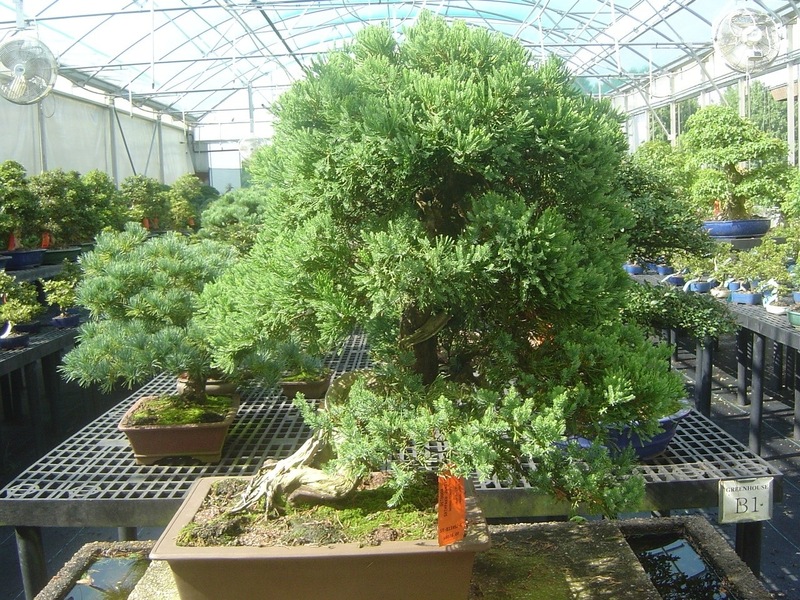 This is a shimpaku, also from Evergreen Gardenworks, similar in size to the Itoigawa at about 16″. Finally, the Kishu, which is young, in the ground (left) and growing on. These came from Miniature Plant Kingdom. Here are some photos of shoots of each variety. For consistency and clarity throughout this post, each shoot will appear in alphabetical order, from left to right…Itoigawa, Kishu, Shimpaku. And here is a shot from a shimpaku. Interestingly, it seems to be “balling up” like a kishu. Brent sold it to me as shimpaku, so I’m sticking with it. The foliage is a bit ropier in shape, bluer in color, and the texture is somewhere between Itoigawa and kishu. Now, a look at some individual shoots. 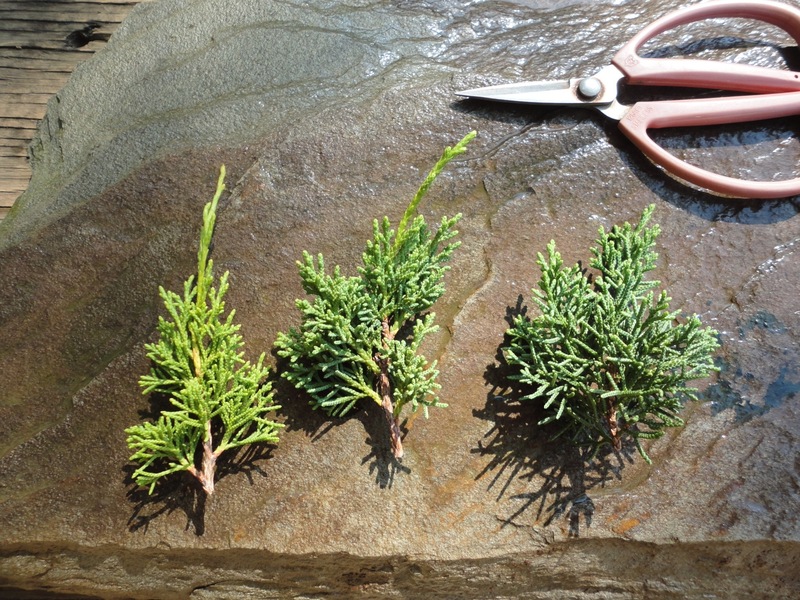 Itoigawa foliage reverts from mature to juvenile in response to hard pruning. 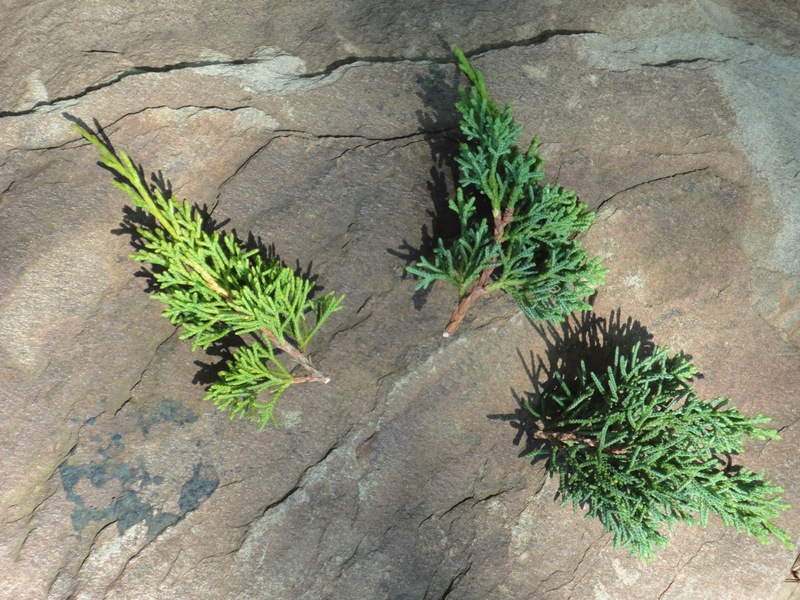 Looking closely at the foliage structure, it appears that it all starts the same way, but that juvenile foliage extends points from each scale, mature foliage does not exhibit the extension growth, so it appears smoother, and also brighter. 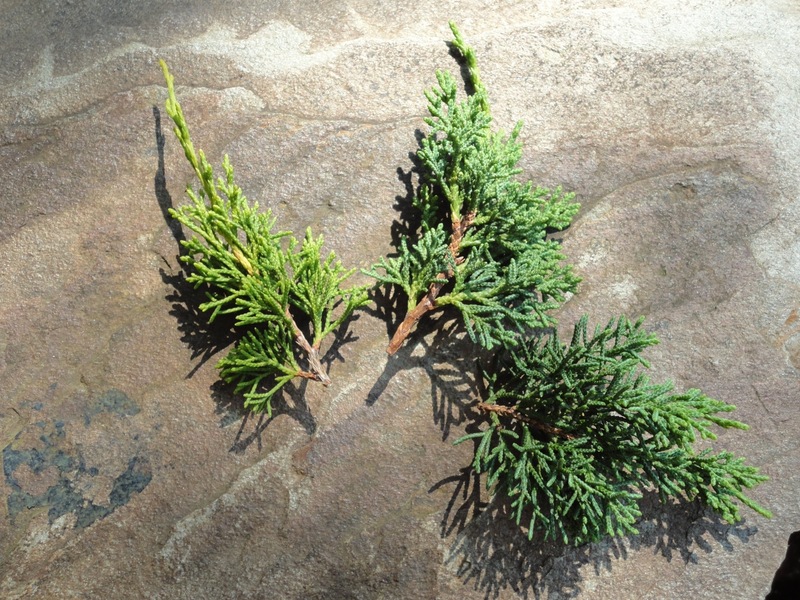 The left shoot shows juvenile foliage growing from a mature shoot. 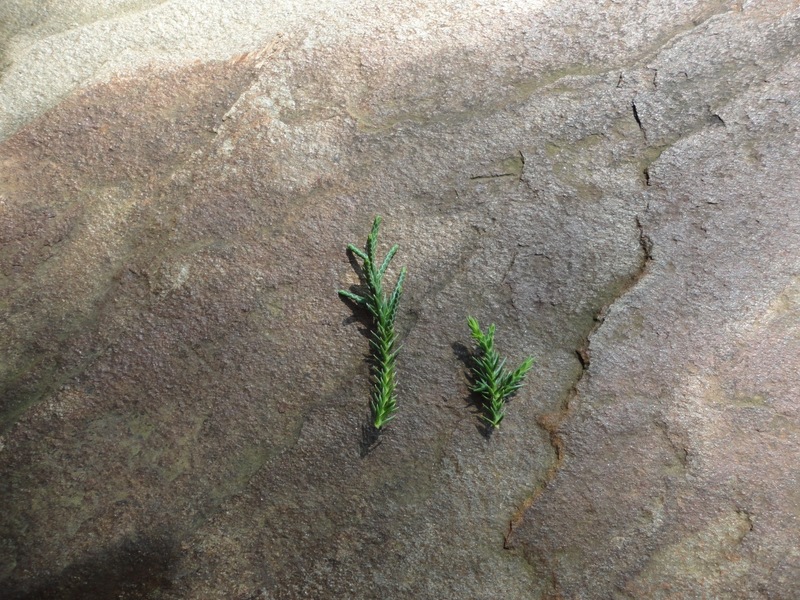 The right shoot shows mature foliage extending out from a juvenile shoot. See the difference? 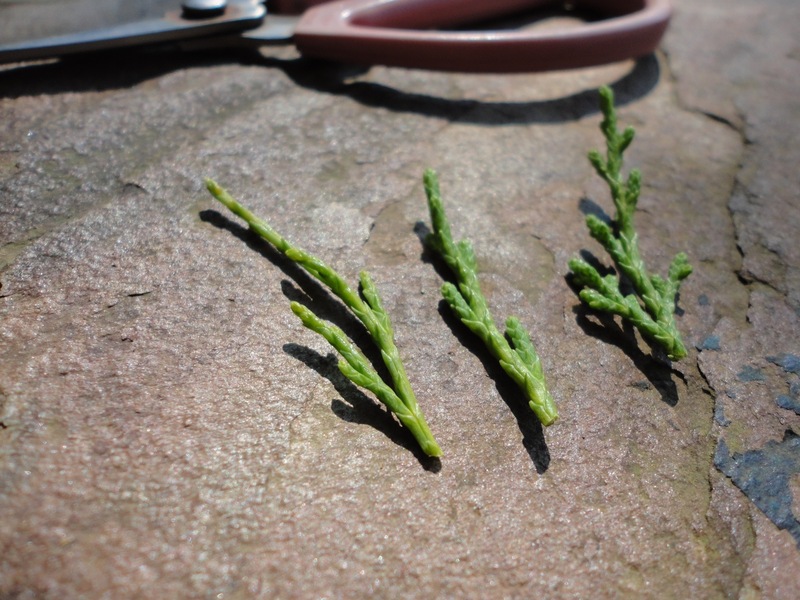 I have yet to get juvenile foliage to grow from one of my kishus, but this juniper from Brussel’s is labeled as kishu, and is full of juvenile foliage. I’m not convinced its kishu. 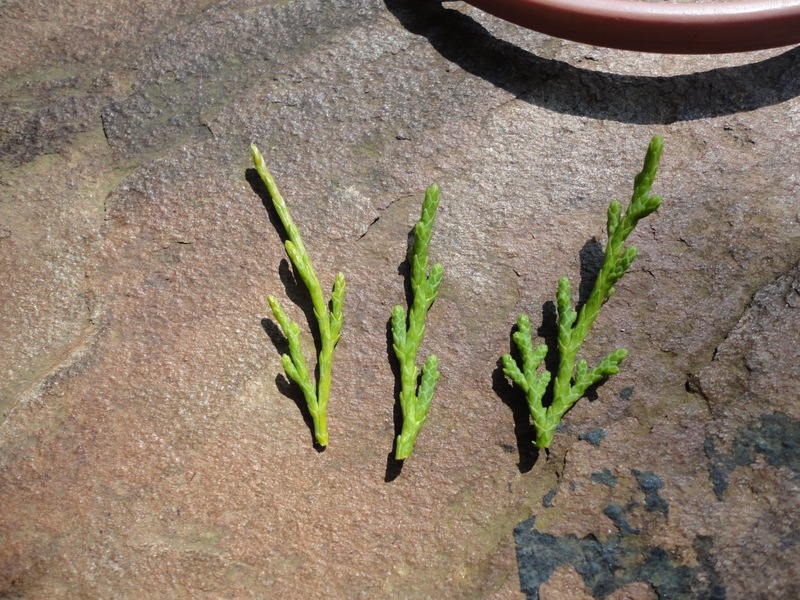 And here is a photo showing a juvenile shimpaku shoot growing out mature foliage, the blue color of the juvenile foliage is much more apparent in this shimpaku. So, here is a test for you. 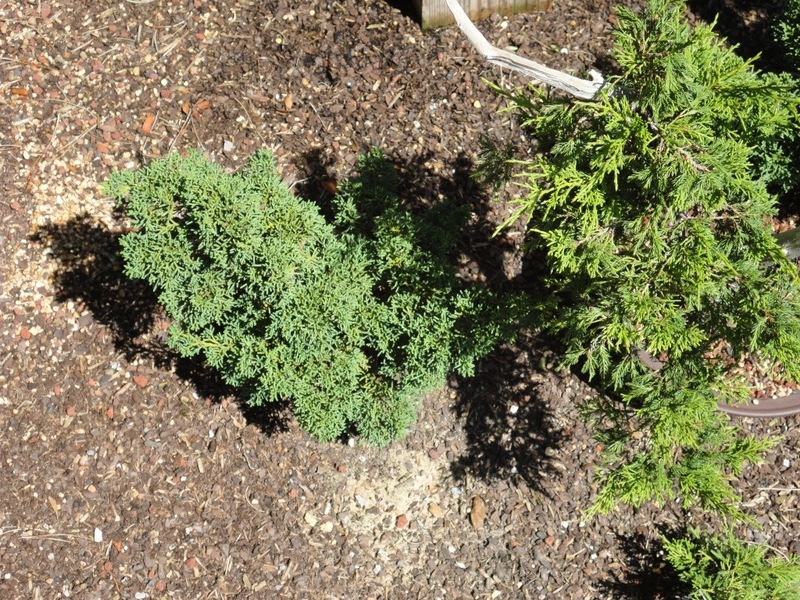 What kind of juniper is this one? Great post Brian. My guess on the last one is itoigawa. 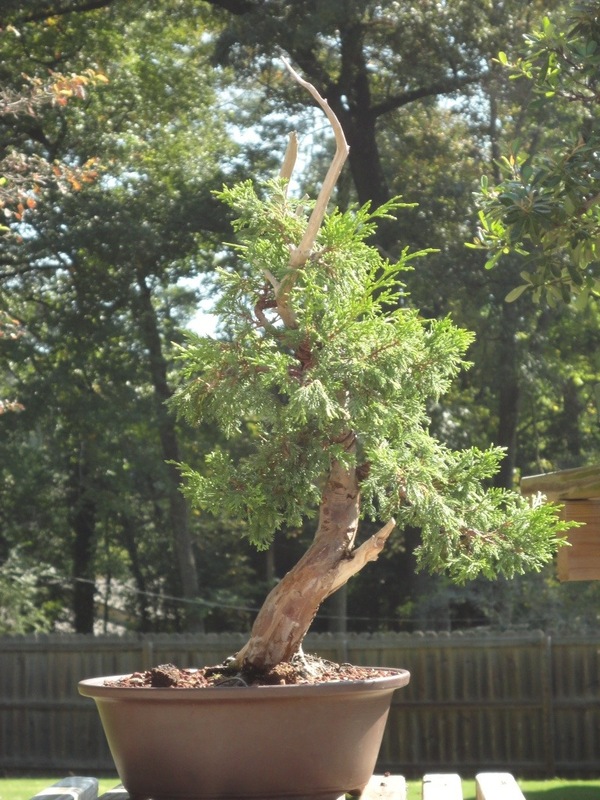 I really like these posts about the juniper differences and the sun/shade one. I’ve long wondered the differences between shimpaku. It seems like not many people differentiate them. Thanks! Thanks for the comment, we agree that they are all generically shimpakus. I have read that shimpaku is actually a made-up word, actually comprised of shin, meaning authentic, and paku, meaning oak (or article). It was a description of the junipers that were found on these collecting expeditions, they were the “real deal” or genuine article. As they expanded the search for more Yamadori shimpakus, they found variants of these, south near Kishu, and north in the Itoigawa region…where the massive deadwood trunks were discovered and began to become popular. If you have juvenile foliage, does that grow into mature foliage in time and without the stressors, or does it remain spikey as mature growns around it, on other new branchlet, to replace it ? Loved this article one of the best I’ve read In a long time. I purchased my first Shimpaku a couple of years ago and have since gotten about 2 dozen cuttings started from that one plant. It was a serpentine shape landscape one gallon. I air layered it and now have an informal upright and a smi cascade. I never understood the differences between the varieties of Shimpaku. You have made it very clear and I loved the pictures. I am now on the hunt for an Itoigawa and or a Kishu. I just want raw stock so I can have the fun of styling it myself. Any one got an idea where to get one in the Bay Area, California? Thanks, glad you liked the article. 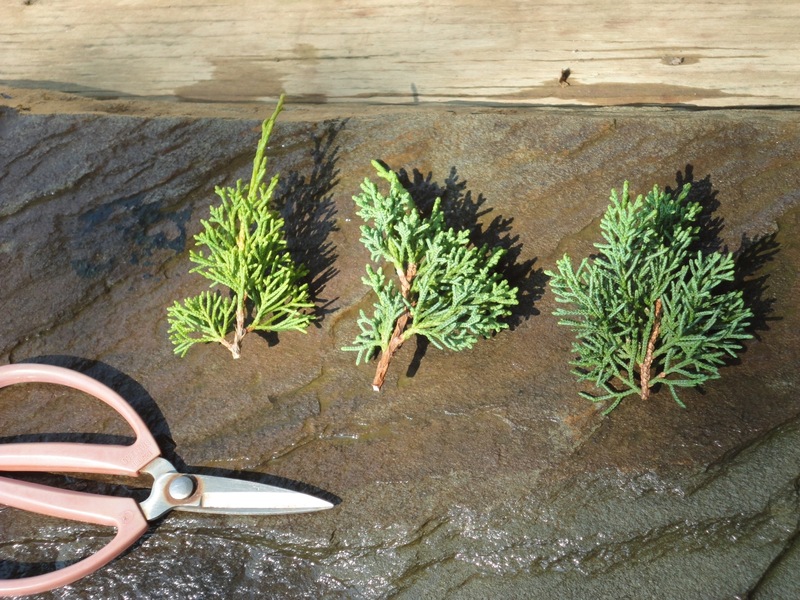 For kishu junipers locally, try Jim Gremel at Deer Meadow Bonsai. For Itoigawa, Brent Walston has a great strain. He’s up in Kelsey, but does mail order: http://www.evergreengardenworks.com. Superb article, now bookmarked for future reference. Not taxonomicaly. 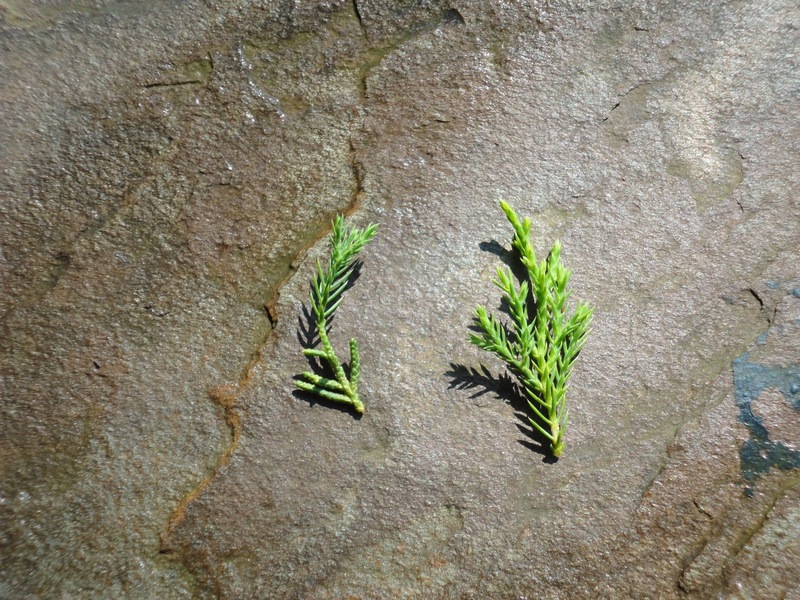 Juniperus chinensis var. 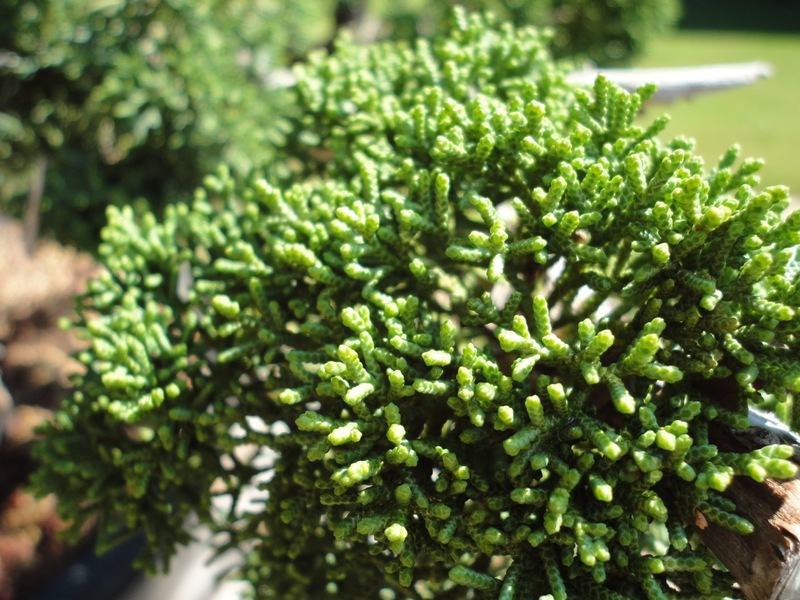 “sargentii is a separate from what we Bonsai people refer to as “Shimpaku”. Juniperus X media group. 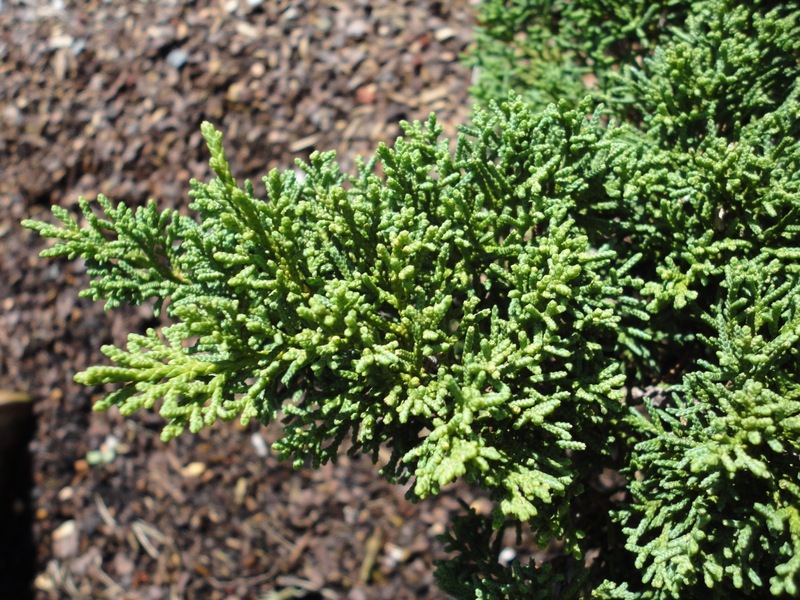 A cross between Juniperus chinensis and Juniperus sabina. As for Shimpaku, Itoigawa shimpaku, Kishu shimpaku, they are from different geographical areas of China and Japan, as mentioned before. 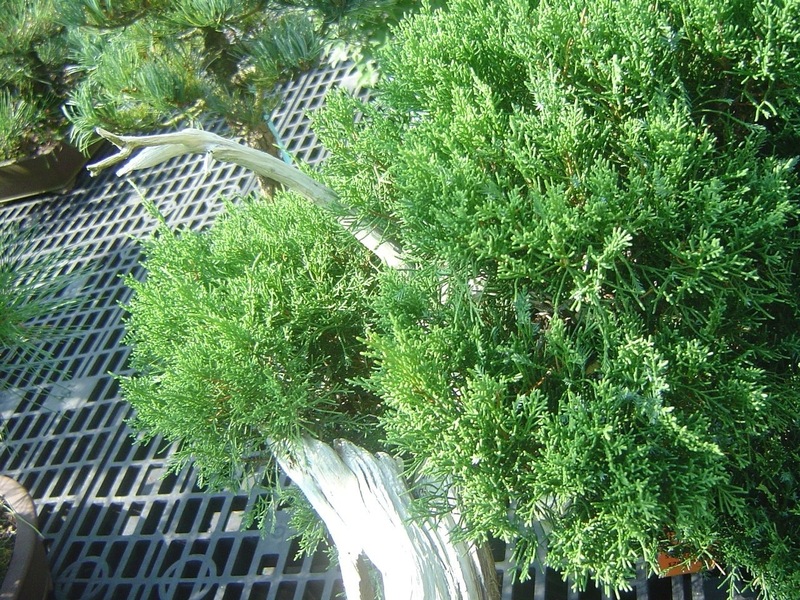 Remember that Shimpaku junipers are not commonly used in the landscape and the whole Genus, Juniperus is a very confusing Genus at the present time. I wish they would get it straightened out once and for all. Itoigawa shimpaku seems to have more Sabina in it whereas the Shimpaku and Kishu seem to have more Chinensis in varying degrees. sabina group. Even the trunk and branches are a slightly different color. 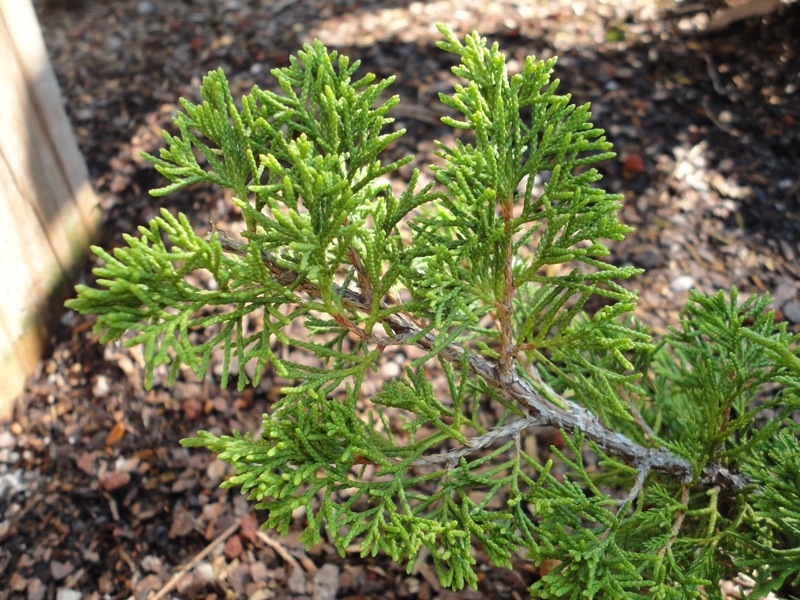 Now in Michael Dirr’s newest book he classifies Juniperus chinensis var. “sargentii as a separate variety having 5 different selections, and “Shimpaku” as Juniperus chinensis “Shimpaku” w/o any distinctions. For the sake of discussion, I’ve seen a lot of variation in “Shimpaku” over the 42 yrs of practicing Bonsai. Faster growing, slower growing etc. The slowest I ever encountered was a batch I got from Korea back around 1989. I planted about 30 in the prepared ground and they grew so slowly…. I got rid of them when I moved.